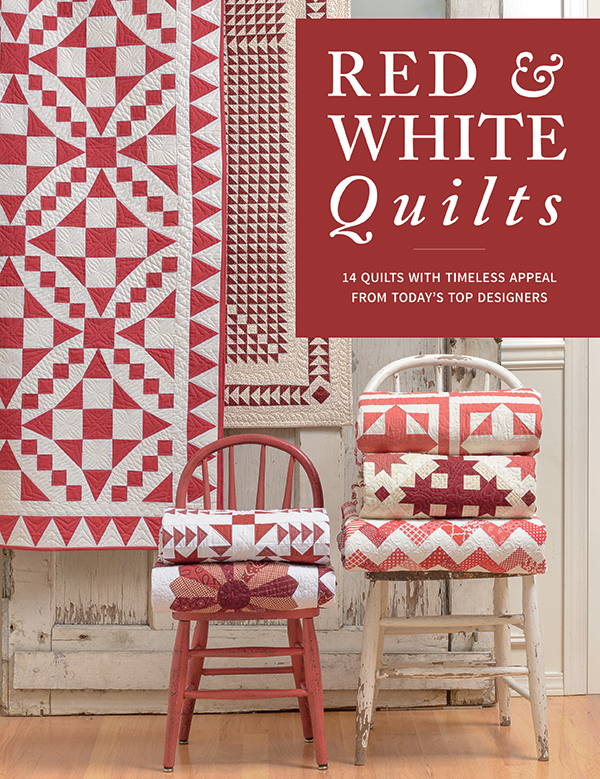 A new book was just released last month (by Martingale) featuring a collection of the most gorgeous Red & White Quilts. 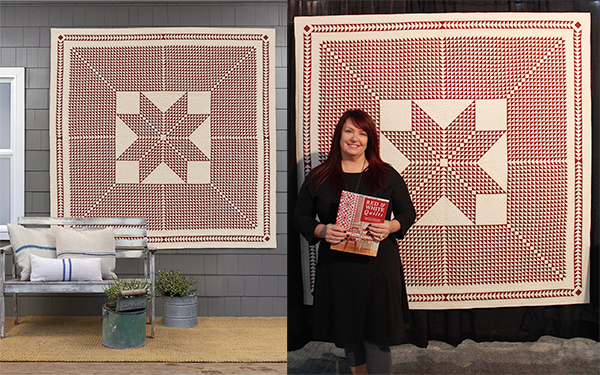 Fourteen designers were asked to create a quilt for this book, and honestly, I cannot pick a favorite! What’s not to love about red and white? And the book itself is beautiful and fun to look at, even if you never intend to make any of the quilts! The quilts were on display in Houston for Quilt Market and Quilt Festival, so if you were there and lucky enough to get to see them up close and personal, I’m jealous. I’ll show you a few of my favorites. The first one that caught my eye as I was watching Quilt Festival highlights online was this one, by Lisa Bongean of Primitive Gatherings, called “Memory of a Masterpiece”. I adore half-square triangles, and I love making complicated quilts from them, so this . . . this really pulls at me! So gorgeous! And of course I have a soft spot for the one Victoria Findlay Wolfe made, because I got to quilt it. It’s called “Crowd Pleaser”, and it’s simple piecing that creates such a mind-bender — it’s like staring at one of those Magic Eye posters — haha! But this quilt here — this fabulous creation by Carrie Nelson — if I’m going to start one of the quilts from this book anytime soon, this will be the one. I’m so in love with this quilt! It’s called “Walk This Way”. So there’s a few highlights. You can see all the quilts and more photos in Martingale’s blog post about the book HERE. If you need to have a copy for yourself (and I think you do), you can purchase it HERE from Victoria’s shop. She’ll even autograph it for you! Oh my goodness! Memory of a masterpiece is simply gorgeous. I can’t stop looking back at it. Wow! Love love love!!! They are all beautiful and I do plan on getting the book. 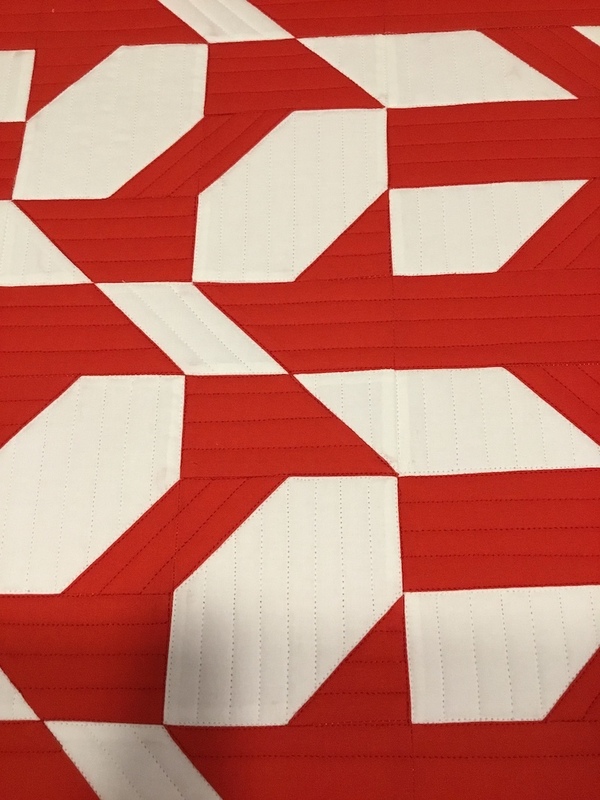 I love red and white quilts. There will be one made next year for sure. 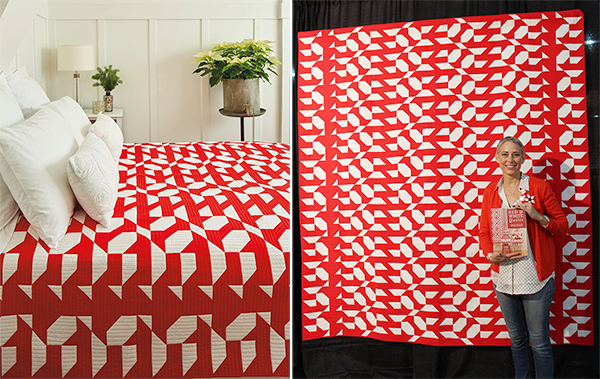 I love red and white quilts. I need to start working on some for own collection. When the book came out, Memory of a Masterpiece was a featured quilt. I can see why. OTH, all those little HST’s. Uh, NOOOO! I used to do tiny and intricate. The older I get the more I gravitate to large blocks and showing off fabric, not my piecing skills. These books are always fun to look through, but I can never envision making any of them! Fabulous – the appliqued medallion in the book and Walk this way are my favorites, but they’re all spectacular. I bought the book. 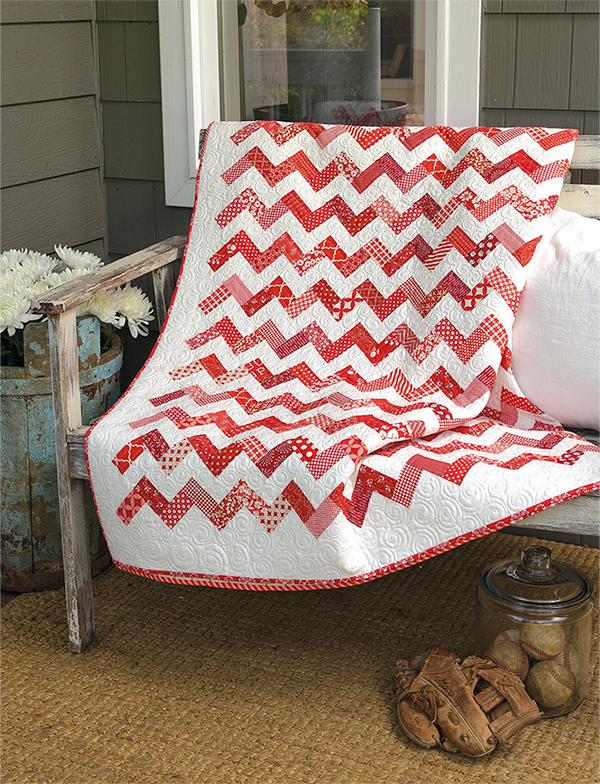 I love the red and white quilts. Can’t wait to look at it and dream of the quilts that plan to make. What gorgeous quilts. I am not a fan of the color red, but this could change my mind for sure.